Beware house flipping which might work out more expensive than thought. House flipping is a rather American term and means to buy property cheap, renovate and sell as fast as possible with a good profit in mind. A guy in Puerto de la Cruz had wisely bought a Tenerife apartment where two condos (studios in Tenerife) had been joined. He renovated everything to perfection. Then, he lost his workplace. He was lucky. He found new employment but in the South of Tenerife.Too far to travel back and forth between home and work. Hence he sold his place in the North. So far so good. But he had scarcely owned it for three years. The Receiver of Revenue Tenerife or Spain is applying gains tax to places that look like property flips for profit purpose. The guy would have been fully entitled to buy property in Tenerife again - without the demand of sale's tax/gains tax after a time of 3 years. Now, he had to prove with stacks of documents why he had to sell and, that he really needed a new home because of his job. Please, mind that one is entitled to change property for another one only when it remains first residence. 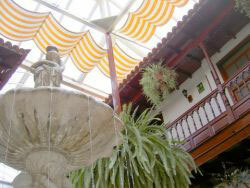 A couple of years ago, I studied a Tenerife property guide to sell an apartment. House flipping wasn't my objective. To make sure that I would get unbiased information I went to see Social Service in the Ayuntamiento townhall Los Realejos (Avda.Canarias Realejos Alto) where I live. There, I asked a consultant as well as a lawyer if it would be wise to sell in my case. Both asked me immediately for how long my property for sale in Tenerife had been in my name. The busy gentleman as well as the very friendly Spanish lady lawyer called Macarena cautioned me to mind taxes. She said, I might have to face much unnecessary expense when selling, especially because, the small property is not my first residence. None of them could tell me exactly how much tax I would have to pay. The question would be how much more than 18% sales tax as per new law 2007 for everybody would apply. Sadly, I am under the impression that the Receiver of revenue applies its sales tax or gains tax tariffs according to individual judging. Just figure, that you will have to face many questions after a premature house flip in Tenerife or all over Spain. Therefore, premature house flipping must be avoided. Taking home purchases and house flipping on the Canary Islands in Spain lightly could mean property investment gone sour. Should you suddenly decide to buy a property which is not to be flipped, then, the new inheritance and donation laws for Tenerife become very important. They only apply to Spain's autonomous regions, where the biggest of all Canary Islands is part of. How best renovate for house flipping? The best chances for financial gain are usually obtained by giving a house or apartment a thorough face lift which includes popular modern paint techniques like brush painting, sponge painting and others. 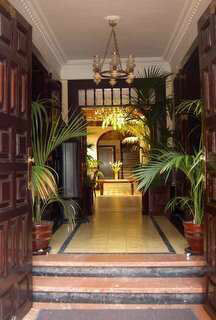 entrance hall, porch and landscaping. However, this article isn't about how to doll up a property to sell for gains. It's about avoiding unfair taxes. So much advice is all over the Internet about how to give efficient face lifts to properties to resell them with profits. Here are good tips for you, although by a company too far away to engage. Think twice before going through luxury additions such as a skylight which is often costly to install but, might not improve the property value that much. 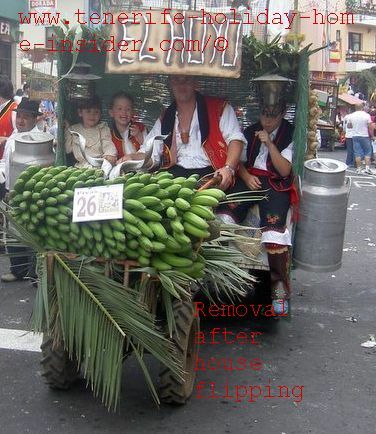 House flipping in Tenerife has been applied like all over the world. It was even more popular in the past years when bank credits were cheap and easily obtainable. From house flipping back to real estate in Tenerife.